I’ve been an avid reader of a particular comic blog. I personally like the way the comic strips are illustrated, its sense of humour and the things happening around the 5 bros. Soon after, the illustrator and I exchanged e-mails – and look what he did for me…! Oh yeah, I’m already using this drawing as my Twitter profile avatar and many people seem to like it – saying it’s cool. Well, thank you. But the specific individual that I myself should thank is… Ernest, the illustrator of Bro, don’t like that la, bro. 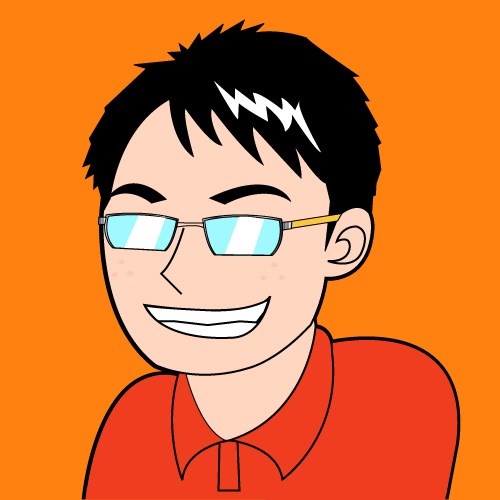 Anyway, since I have my own cartoon-ized face now, I think I shall use this drawing every time I put up a photo of myself on kenwooi.com. 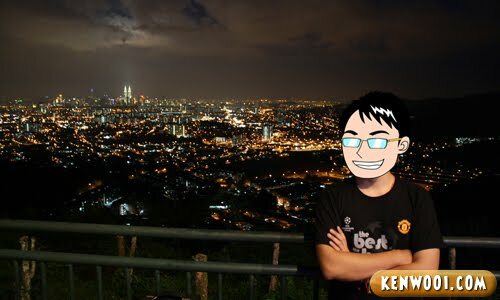 That’s me with the Kuala Lumpur cityscape view from the top of Ampang Look Out Point. 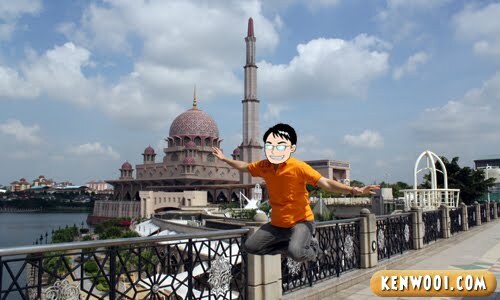 Jumping in front of the Putra Mosque at Putrajaya! 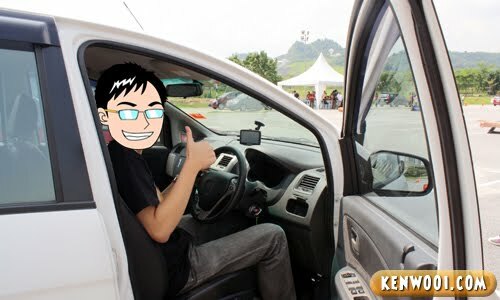 Ken Wooi during the Proton Exora VIP test-drive. Awesome event! Hanging out with some pals and Guinness. I really like my handsome cartoon face! Hot Hannah Tan and I. We had a dinner date yo! 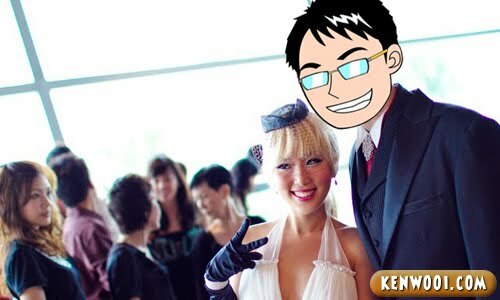 I’ve met and taken this sweet photo with the blogger queen from Singapore – Xiaxue, who was featured on kenwooi.com’s How To Be Famous Female Blogger! She’s like a barbie doll! Beautiful Jessica Alba and I during the Comic Con at San Diego. She’s super friendly, love her smile! 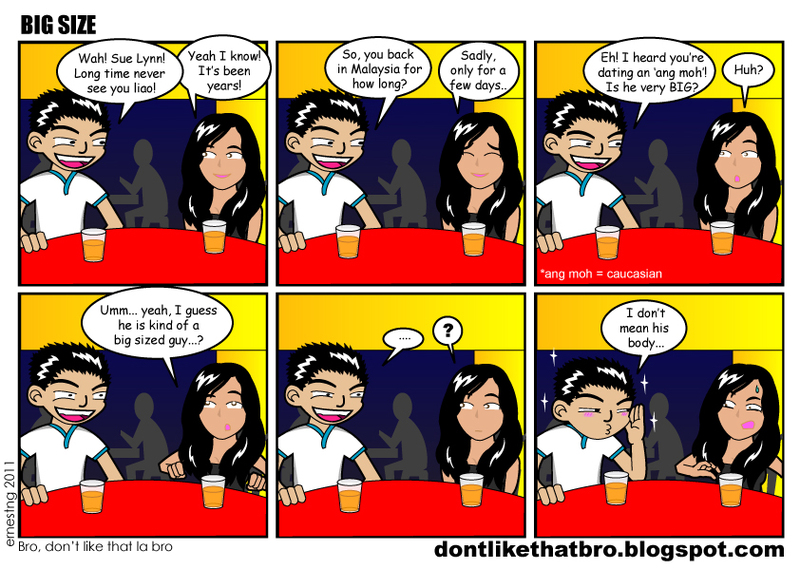 So yeah, check out brosome Bro, don’t like that la, bro! nice one ken! see you when i go kl! lol! :) hahaha… the hot bod part, really got me laughing! 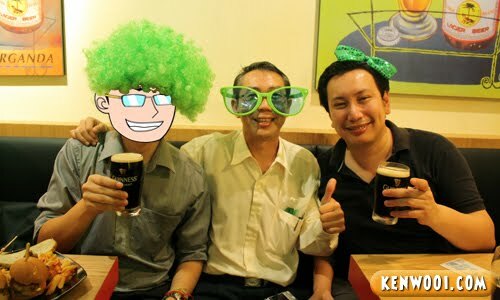 haha.. awesomeness~~ it really does look a bit like you..
wow, that’s freakin awesome hahaha! awesome! LOL That one is your trademark grinz ah? Very funny, you have a lot of fantasy and creativity. teach me how to get six packs can? i also want la…. LOL!!! Great post… Yes, your cartoon face certainly looks nicer. Muahahaha!!! Can i touch those awesome abs of yours? :P Macam captain america one. LOL.. i think just few of photo are u.. some not.. LOL.. hahahahahahah..
btw. it’s nice a one !! Cool illustration! So, you’ll now be hiding behind that mask?! Simply creative and unique posting, nice one Ken. cheating on last few photos, izzit? hahahhaa… cool abs by the way. wakkaka…. hehehe..this is so cool bro..
wow! What hairy chest u have there Ken! Slurp! muahahahhaha…. damn muscular la you Ken! How come I didn’t notice when I see you leh?